The traditional rubber ski boot is back. 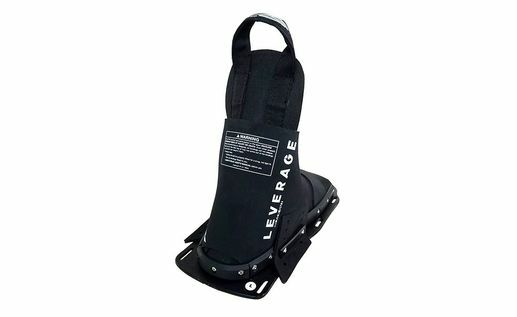 Snug, comfortable and durable the LEVERAGE BLACKOUT is what a rubber binding was always meant to be. d3 has improved the fit, comfort and quality of the Leverage binding. 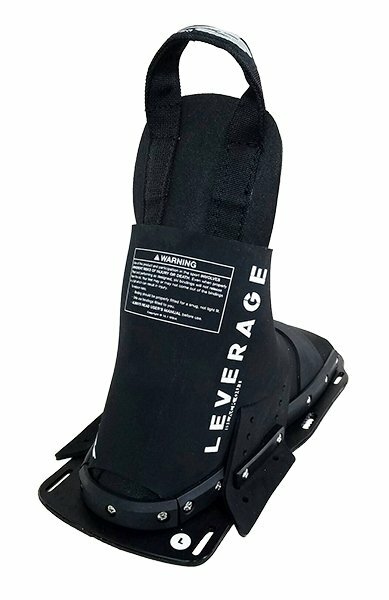 The LEVERAGE BLACKOUT boots are for the skier looking for a no-nonsense, flexible design that fits very snug, keeping the skier connected to the ski, while still allowing a full 360 degrees of motion to the upper ankle. The best word to use in describing the performance of the LEVERAGE BLACKOUT is “forgiving”. If you have tried hard-shell systems or the new wake-board boot style bindings and found them unforgiving or inconsistent then the all new LEVERAGE BLACKOUT boots may be just what you are looking for. Skiers seeking more lateral support and a stiffer upper ankle design look for the Tfactor front lace binding.